Hey guys, don’t let women have all the fun! You have skin and hair, too, you know, and you need to take care of them. Click any of the links below for details on our spa services just for guys. 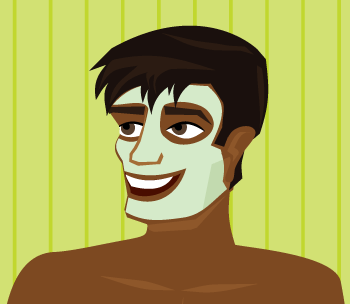 Skincare for Guys – Facials are just as beneficial for guys as they are for gals. We also offer a back treatment that’s great for breakouts. Manscaping – Amazing how ear and eyebrow hair goes crazy as you age, isn’t it? See a comprehensive list of our waxing services for guys. Including, yes, Male Brazilians. Shaving Tips – Did you know you shouldn’t shave in the shower? Read more useful info in this helpful guide to shaving. Looking for a great gift? Purchase a gift certificate for any of our services or in any dollar amount. It’s secure, easy, and instant! I do my best to offer you exceptional service. To help me maintain my high level of service to all of my clients, please be sure to read Raspberry Moon’s policies prior to your first appointment.